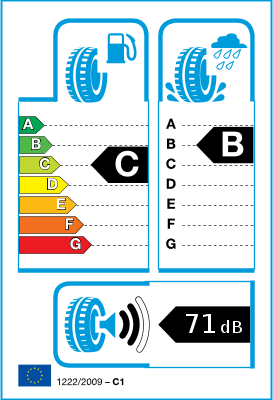 A reliable performance 365 days a year without changing tyres – this was the aim of developing the Hankook Kinergy 4S2. The tyre compound, which has a high share of natural raw materials, guarantees high grip even at low temperatures, while the extra-wide grooves disperse water and slush efficiently to the sides. Yet even when the summer heat makes demands on the tyre, it impresses with short braking distances due to the solid block structure. The performance package of the Kinergy 4S2 is rounded off by a low rolling noise due to the zigzag pattern in the centre of the tread. Improved drainage performance with wide, high angled grooves. By 4 % improved block stiffness provides better handling performance. Serrated edge design at the end of the tread block maximises the effects of the block edge and enhances winter driving performance. The new generation silica compound is based on natural ingredients. 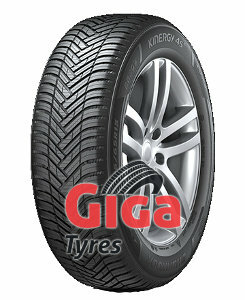 Ensures a long service life in combination with the stable sidewall. Improves the rigidity and resistance of the sidewall. Stable handling and steering behaviour. Improved uniformity and a good fit on the rim.